I always feel lost during the first few days of summer break. I would have thought that by spending so much time in academia, my body and mind would be use to the transition. For the first few days, I amble around the house. I spend far too much time on the internet and in general I get nothing done. See, I’m an all or nothing type of gal. I spend my school year going full speed, rarely slowing down. I always have a to-do list a mile long and I’m tackling it from the time I get up to the time I go to bed. When summer hits gone are the long days, mile long to-do list, and feeling of always needing to be busy. For a bit I fight against it. I feel odd saying that I have nothing planned for the day or that I don’t feel guilty for spending an hour randomly searching the internet. I think this switch to summer happened yesterday. I leisurely went to the CSA and Farmers’ Market, spent the morning playing with photos, and spent the afternoon cooking, cleaning, and editing. After awhile, I decided to hit the gym and then came back to relax for the evening. I know I get stuck in this mentality of “go go go” that it’s sometimes hard for me to relax and enjoy the day. Snap peas were part of my day as well. If I’m being honest, I’m really surprised I have a recipe for you that involves Snap Peas. So, I harvest two pods and eat one pod. On my half hour drive home from the farm, I’m snacking on these. It takes every ounce of willpower to try and save a few. Luckily for these snap peas, I also picked up some regular peas at the farmers’ market and snacked on those instead. I love the fresh flavor of snap peas and the crispness that never really cooks out. 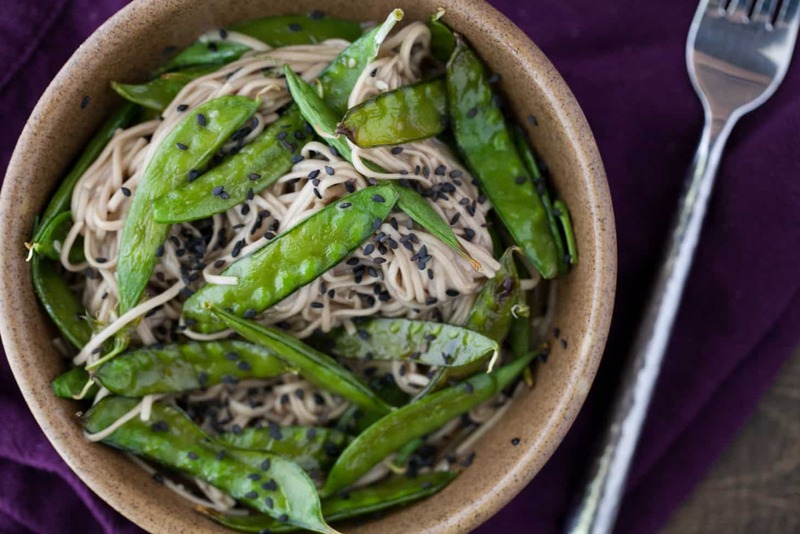 Add roasted snap peas to an easy to assemble noodle bowl and you’ve got one heck of a meal. Roasting snap peas brings out just a little extra sweetness that really helps these peas go the extra mile in flavor. 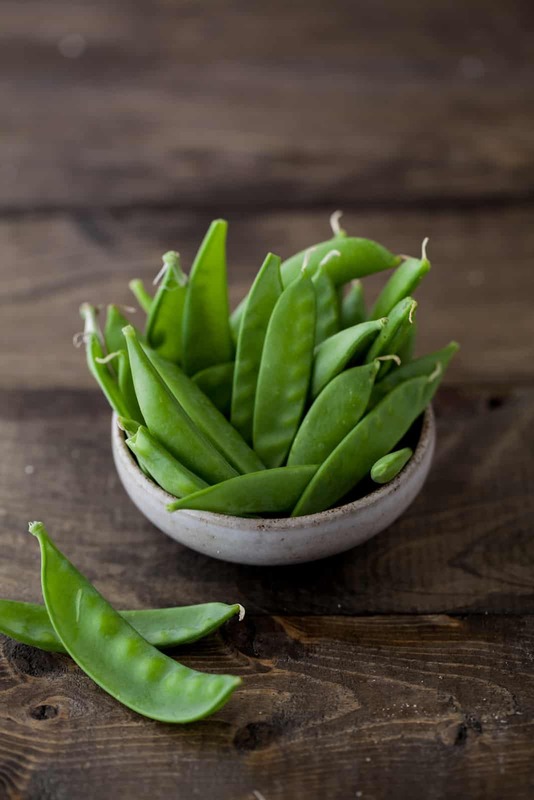 Also, on a quick note, Snap peas look similar to snow peas (which you may find at the farmers’ market as well.) This is because snap peas are a hybrid that include part snow pea. That being said, this noodle bowl would be delicious with either! Preheat oven to 375˚. Rinse snap peas, toss with olive oil and salt, and spread out on a baking tray. Roast until tender and brown spots begin to develop, 15-20 minutes. 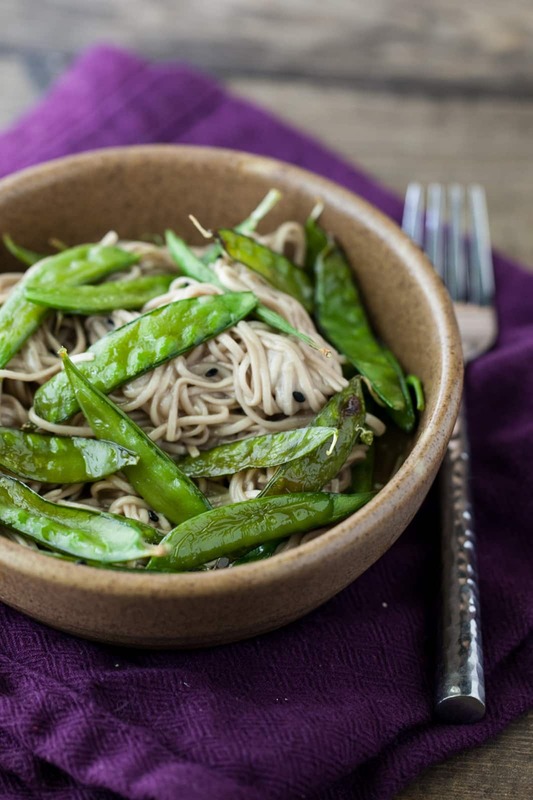 While roasting snap peas, prepare soba noodles according to package. To make dressing, whisk together soy sauce, vinegar, oil, honey, and 1 tablespoon of sesame seeds. Taste and adjust flavoring as needed. To serve, toss noodles, snap peas, and dressing together. Sprinkle with remaining sesame seeds. 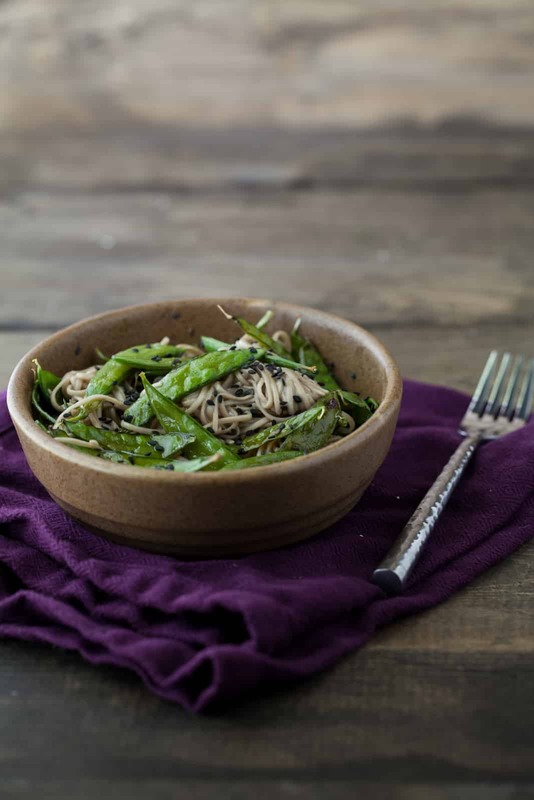 *to toast sesame seeds, toss sesame seeds in a dry skillet over medium low heat. Let cook, shaking often, until sesame seeds are light brown (if using tan sesame seeds) and are fragrant. Love this salad! I might have to make it for lunch! So tasty looking! And easy! I’m sort of in love with snap peas this season. Just last night I picked a bowl full of them from our garden and stood in the kitchen eating them. Before I knew it the bowl was empty. Beautiful recipe. Have a great holiday weekend! I totally understand how it’s hard to get out of the go-go-go academic mentality, and for the first week or so I don’t really even know what to do with myself (because, of course, I am relishing in the opportunity to do NOTHING and simultaneously feel guilty about taking the time to do nothing). And then we find good things to do. I could use a summer vacation, say to colorado! but you will have to promise not to keep getting in the way when I’m taking photos!!!! Yummy….can’t wait to make this!! Thank you for the recipe! I just made this for dinner at it was outstanding. Just the right amount of salty and sweet with the soy and honey. I didn’t have any ginger but will definitely add it next time – I think it’ll give it a nice punch.